As teachers in product management, we get a lot of questions from aspiring and even current product managers. 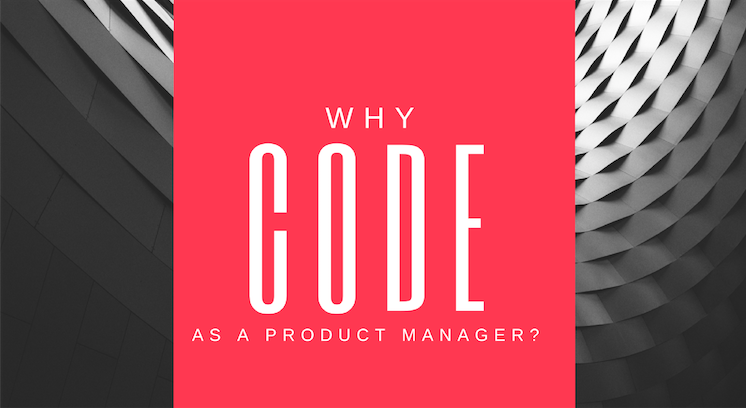 One of the questions we get the most is, “Should a Product Manager know how to code?” There are multiple ways and variations to answer this question from what languages are highly relevant to a PM, to how technical you should actually be. The short answer: coding helps. There are many ways learning code helps product managers. – Keval Desai, read more here in Wizeline’s Interview. It opens up communication with your team. Knowing even a bit of code breaks down communication barriers between you and your development team. You will essentially be speaking their language and you’ll be able to hold more productive and meaningful conversations about product development. Being able to “talk the talk” is also extremely important for many other reasons, which you’ll see a little further down the list. Understand the challenges your team faces every day. Along with stronger communication comes a better understanding. Not only of your engineers, but of their day-to-day lives. This will allow you to understand the challenges they face every day and by having this insight you’ll be able to detect potential problems and how you can reduce roadblocks and help them do their job more effectively. Having this deeper understanding will also make you better at doing your job overall. Know how and where you can add value to your team. Adding value when building a product for your users is the main role of a product manager. You have to listen to feedback, and from there, decide what features are the most important to put on the product roadmap. It’s no different when it comes to working with your developers. You need to be able to listen to them, empathize with them and know how and where you can add value to what they are doing. Whether it’s deciding to remove a feature or knowing you need to give them space to come up with solutions, knowing how to code gives you greater insight for each situation. Gain accuracy in estimating the time it takes to build software. Building a software product takes time. You will never truly understand how much time is invested in building a feature if you’ve never faced the complexity of writing perfect code, and getting everything to work. Sometimes it can take two days to get even a small element to work properly. Having a foundation of code gives you a stronger grasp on how much time a project will take so you can clearly define sprints and help your developers do their job. Some knowledge of tech helps you better understand your users. Along with talking to developers, you’ll also be outside talking to customers. And that’s where you shine, you’re awesome at talking to customers. So how does understanding code help you talk to customers? 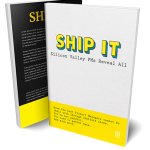 It will give you a better idea of what features are more realistic for your product, how long it will take to implement, and how to explain this to customers in a way they understand, because you are a tech and a people person. It will only strengthen your conversations. Earn the respect from your engineers. This is HUGE in product management. Your developers and you need to speak a common language, and knowing code helps out quite a bit. If you’re able to talk about functionality, interfaces, design, and effects clearly, you’ll avoid a lot mistrust within your team. Your job is to know what you are talking about, and this is where knowing code makes you stand out even more as a PM. It’s the future. Coding is quickly becoming one of the most sought after skills in the tech industry. More and more companies are seeing the value in this. Think of it as gaining understanding, earning respect or knowing the time it takes to build something. Thus, coding is essential to almost every career in tech, and will take you further. You will often hear Carlos, our CEO say, “The more you learn, the better.” So we do know that one thing is 100% certain, learning an extra skill that can help your career in the tech industry in general, doesn’t hurt. Take it from Tina Egolf, the Product Manager who took a three month “coding-sabbatical” in her article on Medium, “Why every Product Manager should learn how to code”. We also invite you to join over 7,000 other aspiring product managers in our Slack Community.